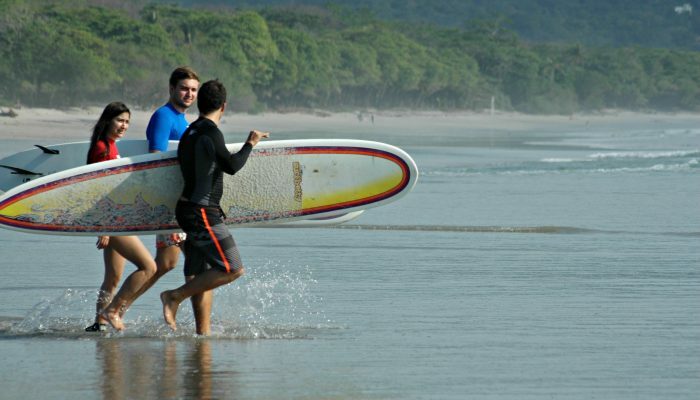 Surfing is a big part of the culture in Santa Teresa Costa Rica. Santa Teresa beach has several world class surf breaks in the area. It is also a great place to learn to surf, or improve your surfing skills. Not only do we teach you all the skills to surf, we also teach you ocean awareness, environmental awareness, basic pre-surf stretching exercises and, most importantly, safety. All of your equipment will be supplied unless you prefer to bring your own. Please note that lesson times may vary depending on wind and tide conditions. 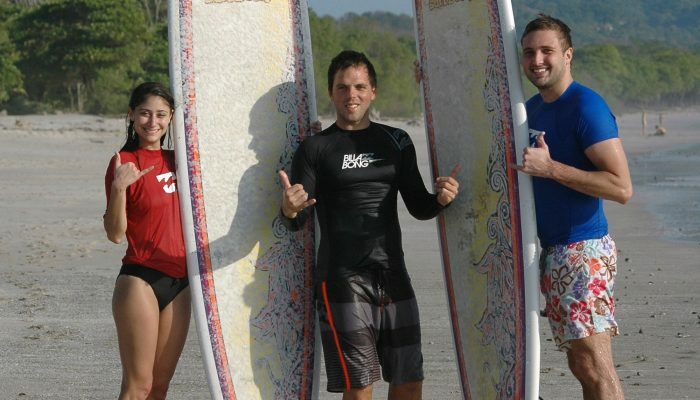 Conditions are good to give surf lessons on most days in Santa Teresa Costa Rica. If conditions are not acceptable for lessons in one area they are often fine for lessons at another near-by break. Please contact us so that we can discuss the forecasted conditions and your skill level to match up the best time and location for your lesson. 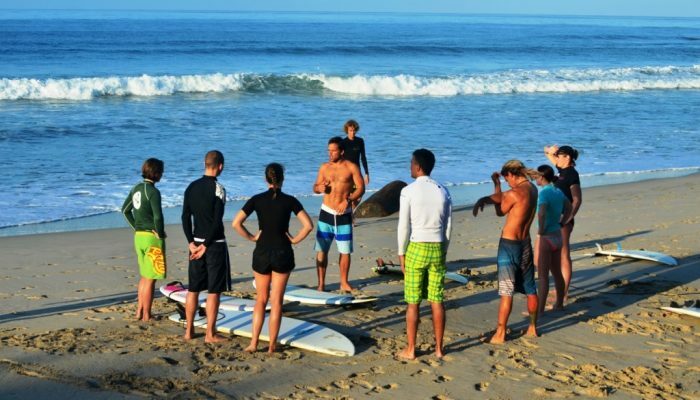 At the time of your lesson you will likely be asked to meet your instructor at Blue Surf Sanctuary. At the designated time You will meet your instructor and your equipment will be selected for you and prepared for your lesson. When you arrive at the location of your lesson, your instructor will go over basic pre-surf stretching. As you become more experienced you will likely come up with your own preference for your pre-surf ritual. At this time the instructor will discuss the importance of warming up before entering the water. Your instructor will likely use this time to discuss how to handle yourself and your equipment to ensure a safe and fun surf lesson. The key to the entire experience is to have a great time, enjoy our wonderful ocean and do so as safely as possible. If you are a beginner surfer, our goal is to teach you to enjoy the sport as much as we do.